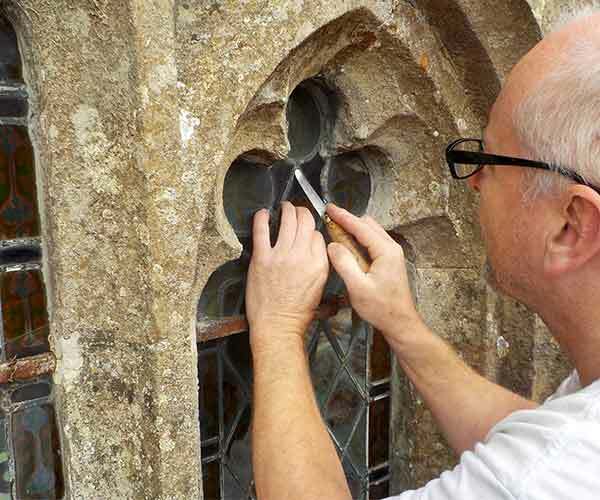 At Glasswood we can complete restoration projects to small repairs, helping preserve original glass-work is an important part of our job. 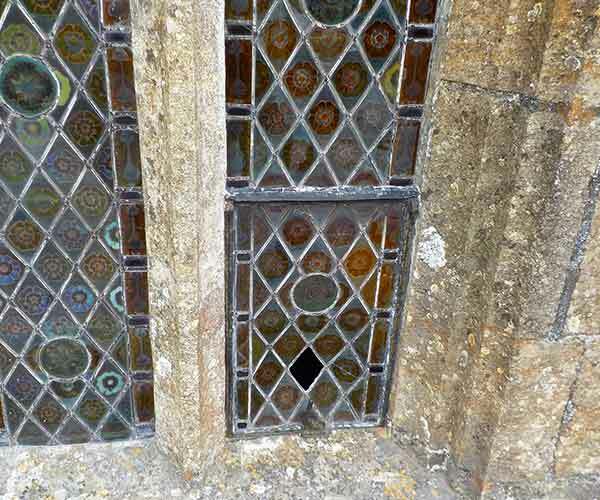 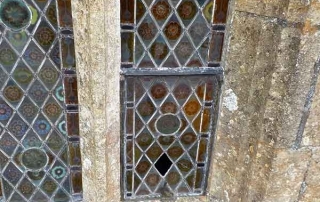 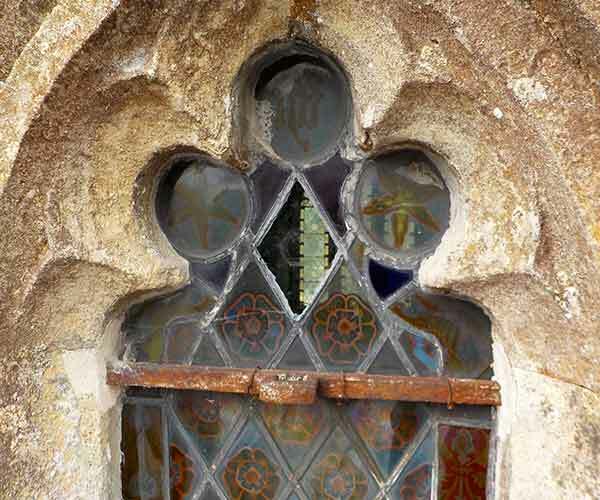 Where possible Mell`s Church at Frome like us to replace individual glass panes within the structure of the existing lead light window without removing it, this is achieved by first removing the broken glass from its lead came surround, cleaning out the lead came of any remaining lead light cement before gently pealing back to 90 degrees one side of the lead, this has to be done very carefully to minimise damage to the lead, restoration glass is then cut to the size of the hole and carefully placed inside the lead came, the lead came flap that was opened to 90 degrees is now pressed back on to the glass and the lead came plugged inside and out with putty dyed grey to match the lead. 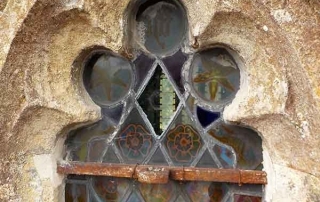 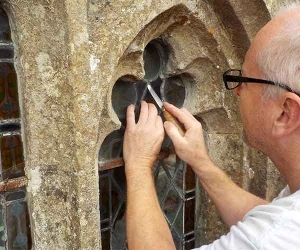 This project was to temporary repair the stain glass panels until a full restoration of the church windows due sometime in the near future, the repair was completed to ensure that it would keep the winter elements from causing more damage to the windows.